Freeze-dried rose petals are real rose petals! Just imagine having real rose petals! Decorative, colourful, with a shelf-life much longer than you could ever have expected. 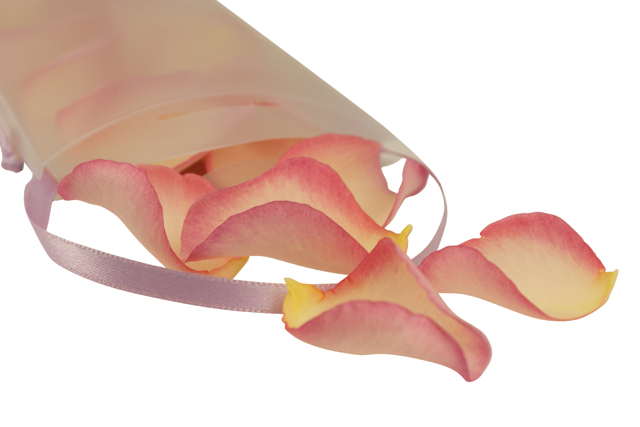 Such rose petals do exist – Sweet Colours’ freeze-dried rose petals! Freeze-drying is the most natural preservation method for roses. How does it work? It works by using special machines which extract the moisture from the rose petals. Thanks to this environmentally-friendly method, the rose petals maintain their colour, cell structure, shape and silky softness. During this process, no use is made of chemicals or other types of colouring agents. Due to the lack of moisture in this product, there are no unpleasant stains, which is reassuring considering wedding dresses, table cloths, floor coverings etc. This unique process makes the rose petals 100% biodegradable and allows them to be used at any location as confetti, scattered table decoration, walkways, or as general decoration. Freeze drying makes rose petals much longer lasting than untreated/fresh petals. If kept in dry and dark conditions, they can even last for months without losing their quality or colour. Sweet Colours offers you packaging of 1, 2, 8 and 24 litre capacities, as well as heart shaped containers. We provide orders of more than €100 with attractive bulk discounts. Would you like to work out approximately how many rose petals you are going need? You can use our convenient ‘Rose petal calculator’; this allows you to quickly calculate the amount you will need for any occasion! Use our ‘Free Sample Service’ if you want to see and feel first what these freeze dried rose petals are really like. Check out our cheap rose petals as well! Our staff have separated these from our top quality rose petals because they vary slightly in colour, or because they are curled or torn. In other words, they are imperfect. Sweet Colours strives for perfection and is therefore always searching for new colours. So keep an eye on our available range. Do you want to brighten up your event with the most beautiful colours or bring in ‘something different’? Then be sure to order our freeze-dried rose petals! Red for love……. Bordeaux for romance……..Crème for your wedding……!